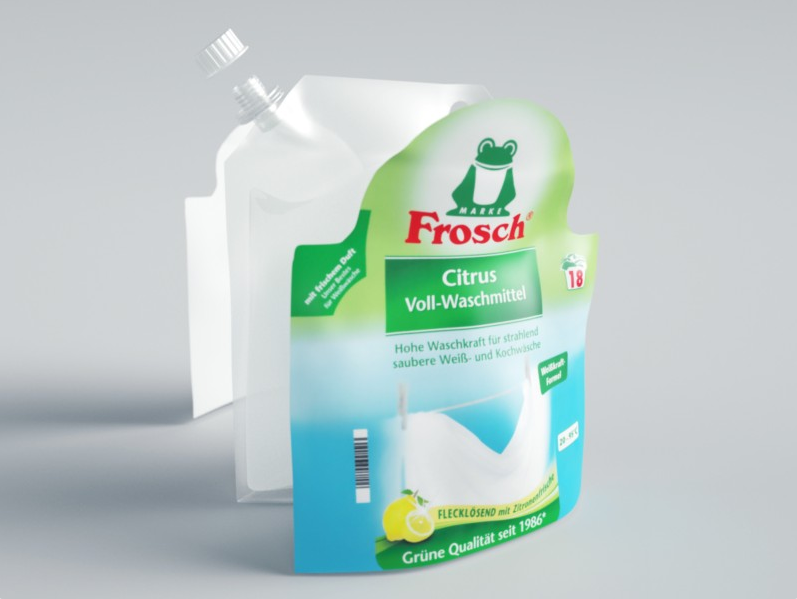 INNOVATION: Frosch pouches soon to be 100% recyclable. 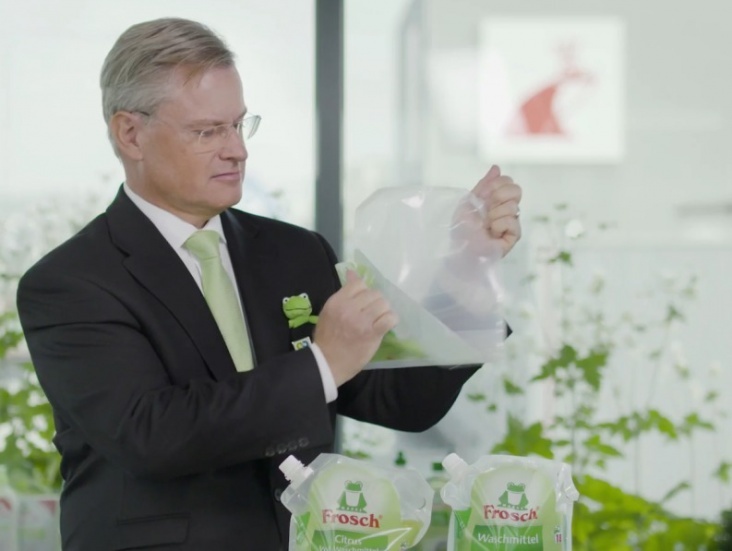 The pouch replaces conventional flexible packaging for Frosch products. The pioneering design overcomes many shortcomings of the recycling process and is the result of a joint effort by Werner & Mertz, Mondi, EPEA Switzerland (Cradle to Cradle®), Der Grüne Punkt – Duales System Deutschland and Institut cyclos-HTP.